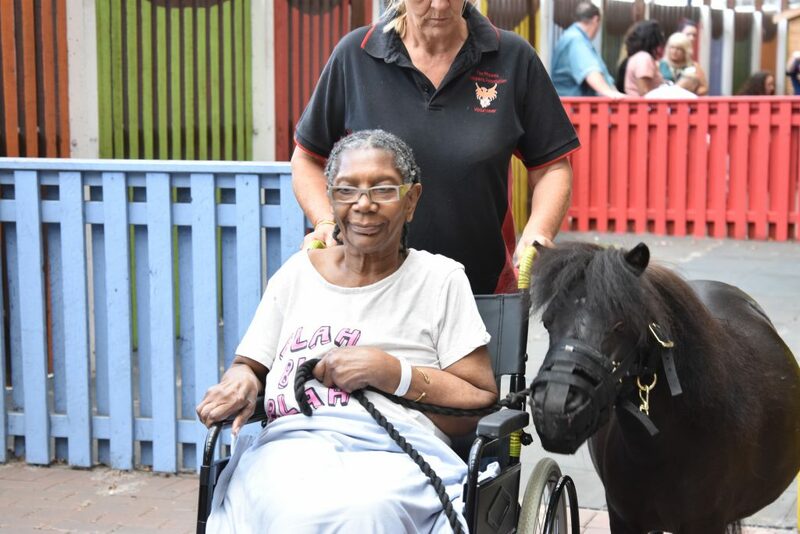 These are the miniature Shetland ponies that brought a smile to the faces of patients at Sandwell Hospital. Lilly and Fern were brought along as part of a pet therapy programme at the West Bromwich hospital which is run by Sandwell and West Birmingham NHS Trust. 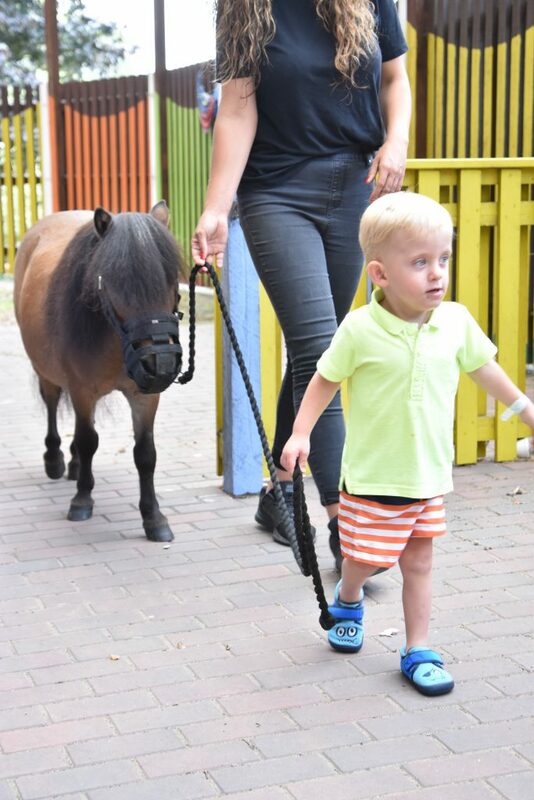 The tiny horses, from the Phoenix Children’s Foundation, based in Leicestershire, were petted and fed by stroke patients, as well as youngsters being treated by the paediatric team. The visit was funded by Your Trust Charity, which is run by the hospital Trust. Amanda Winwood, Fundraising Manager, said: “The patients have absolutely loved meeting Fern and Lilly today. For some of them, it’s the first time that they have got close to a horse and been able to feed or walk it. “Others used to keep horses as pets and so for them it brings back memories for them. The horses were led through the main entrance of the hospital and into an outdoor play area attached to one of the paediatric wards. Patients were brought out to them so they could meet the ponies and spend time with them. Claire Mcquoid, 38, was with her son Freddie, aged two, who is being treated at the hospital. She said: “We’ve learned with Freddie that he’s very delayed with his speech due to being born prematurely and suffering meningitis at a young age. 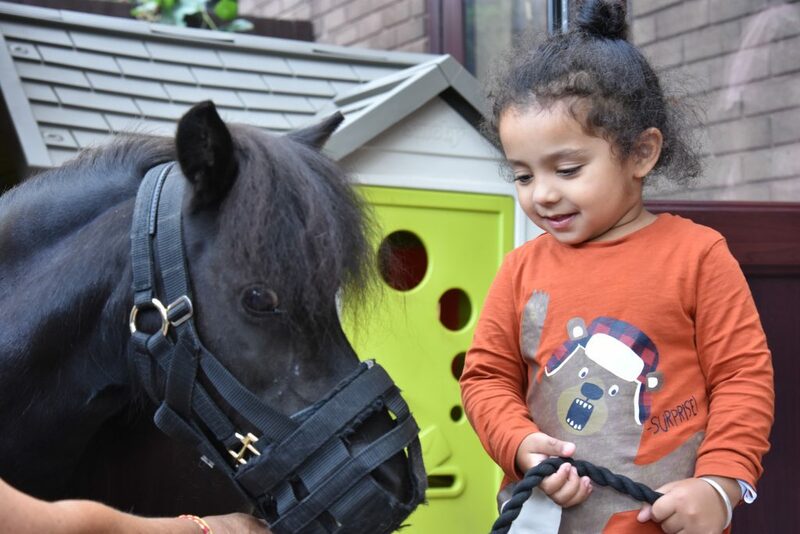 Arron Chohan, aged 11, from Tividale, had been at the hospital for a physiotherapy appointment and was left overwhelmed by his close encounter with Lilly and Fern. The hospital’s Volunteers Service currently works with Pets as Therapy, an organisation which brings dogs in on a weekly basis to meet stroke patients. The sessions are proving a huge hit with the patients, encouraging them to use their hands to stroke the dogs, and also improve speech as they talk to the animals.